Homes for Sale in Madeira Canyon. 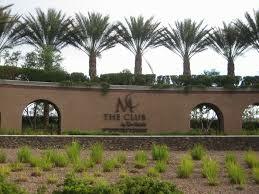 The Club at Madeira Canyon features luxury Madeira Canyon homes for sale inside the exclusive country club. A private lifestyle club of great distinction is taking shape just minutes south of Las Vegas. The Madeira Canyon homes for sale uniquely offer opportunities for both living and recreating so seldom found. Sewn carefully into the rolling foothills of the McCullough Mountains and adjacent to a vast preserve, Madeira Canyon homes for sale embody uncommon beauty, seen only from behind the stately guarded gates. Madeira Canyon homes for sale are comprised inside the Club at Madeira Canyon and reside on nearly 500 acres that provide its residents with enviable serenity, security and a spectacular investment opportunity. And, at 3,200 feet above sea level, the air is pure and fresh, and the views are incomparable. Contact Tracy Drown at 702-245-9341 for Real Estate.